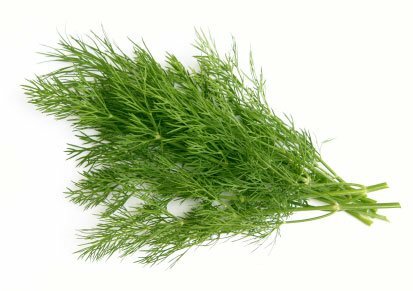 No culinary herb is more redolent of the home vegetable garden than dill. Its feathery appearance and unique aroma and flavor remind one of pickle-making days in our grandmothers? kitchens. Yet in our climate we are challenged to have the dill available simultaneously with the cucumber crop! 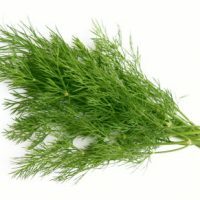 Dill thrives in the cool season in our region. Best planted in the fall, it?s at its best throughout the winter and early spring, usually producing seeds and then declining when the hot weather arrives. It thrives in sunny beds with good soil, plenty of water, and slow-releasing organic fertilizer. It?s height and graceful umbrels are lovely accents in the back of the garden, attracting beneficial insects and butterflies alike. A hint to the wise: dill can be harvested?stems and blooms alike?and immersed in jars of good cider vinegar to wait for that cucumber harvest of the summertime. The seeds can be collected and used fresh or dried instead of the commercial variety?a true flavor bonus.